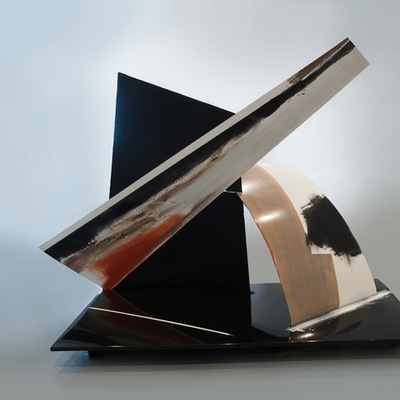 sculptures of vitreous enamel & steel. Lisa was made an Associate Member of the Royal Watercolour Society in 2015. LISA TRAXLER was born in London where she studied at Croydon Art College and then on to Birmingham where she graduated with a BA Hons degree in Fashion & Textiles. For many years she worked in London as a fashion editor and costume designer before moving to the Isle of Wight. A major solo exhibition of new paintings and sculptures will be exhibited in the Penwith Gallery, St. Ives from 26th May 2017. 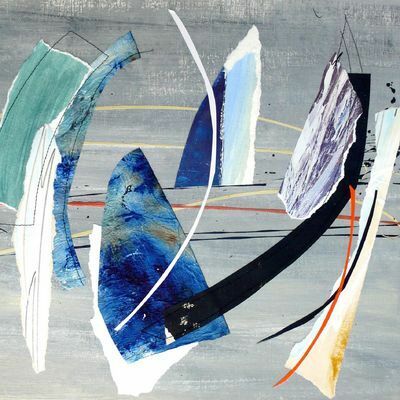 Her award winning art has been exhibited widely in the UK including the RWS Bankside Gallery, Royal College of Art, Cork Street, Mall Galleries, London, the Crypt Gallery, St. Ives and with the Bath Society of Artists. She was recipient of the ProArte Award (2014), the Colart Award (2012) & the Golden Award (2010) for her paintings at the NAPA National Exhibitions, The Crypt Gallery, St. Ives. Her vitreous enamel and steel mural painted on the outside of the house she built with partner, designer Lincoln Miles, gained huge attention when aired on national television (Grand Designs, Channel 4, 2010/12) and was commended at the Architects Journal Awards, London (2011). She is a member of NAPA (National Acrylic Painters Association) & has exhibited throughout the UK with them. She regularly exhibits at the Affordable Art Fairs in Hong Kong & London. Recent public art commissions include the multi panelled enamel and steel wall mural in the entrance foyer to the new Art & Design College, Stourbridge, West Midlands (2011). 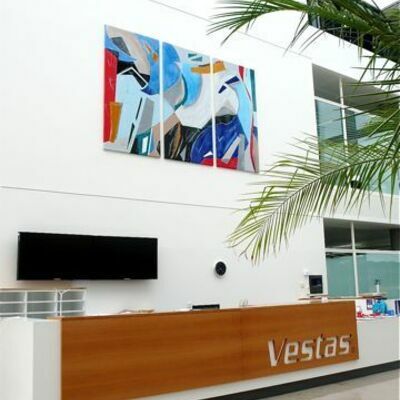 A large enamel and steel triptych situated in the double height space of the entrance foyer of Vestas Technology Centre, IW (2011), and a multi panelled folding wall at Briddlesford Education Centre, IW (2010). A further public art commission surface design was chosen for the ‘Making Waves’ sculpture & tourist trail, the National Marine Aquarium, Plymouth (2013). A solo exhibition of her paintings & sculptures, ‘Decade’ toured from the West Gallery, Quay Arts, IW (2014) to the Apthorp Gallery, Artsdepot, London (2015). Two books have been written by the artist (‘DECADE’ & ‘LIVES OF SPACES’) with essays & foreword by Jonathan Parsons (artist) & Peter Davies (art critic & artist). 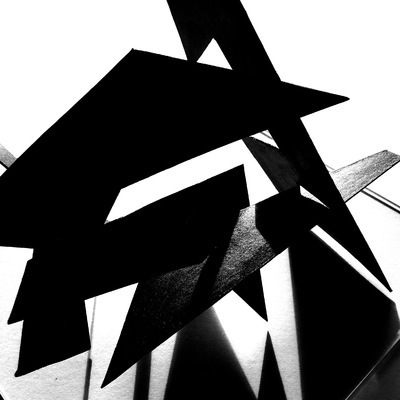 Her work can be found in private & public collections throughout the UK, Hong Kong, New York, Australia & Italy.